Recently, the topic of the global warming appeared in the news again, mostly in connection to the newly appointed U.S president and his cabinet; seemingly not having much of support in the current Washington administration. The question we need to ask is: What is the evidence for the global warning, and can we possibly reject the explanation behind the changing climate? Fig.1: The graph showing the temperature anomalies for the period 1880 – 2012. We can clearly see, that there is an increase in the temperature since year 1910 onwards. How that could be explain? Some people argue, that increase in the temperature could be related to the solar activity, after all, the Sun delivers a tremendous amount of power to the Earth. [ 1.361 kilowatts per square meter (kW/m²)]. However, as the graph below shows, the temperature on Earth is much more strongly related to the levels of CO2 (carbon dioxide) in Earth’s atmosphere than to the Sun’s activity. Fig 2: The red curve represents the temperature; blue the CO2 levels expressed in parts per million; the yellow one Sunspots as the indication of high Solar activity. Carbon dioxide as a greenhouse gas and its effect on atmosphere. As shown above, the carbon dioxide is strongly linked to the rise in global temperature. Earth’s atmosphere consists mainly of molecular nitrogen (N2) and oxygen (O2), 78% and 21% respectively. Those gases however do not contribute to the change in temperature. Why such a dramatic difference in the case of CO2, which consist less than 1% of the atmospheric volume? This is related directly to the chemical structure of the CO2 itself. The chemical bonds between the carbon and two oxygen atoms within carbon dioxide molecule provide sort of “elasticity”, allowing the carbon dioxide to twist and bend and to vibrate. This movement is a storage mechanism for energy, which could be absorbed as a form of Infrared Radiation (heat), and transferred in to the kinetic movement of the molecule. This makes the atmosphere opaque for the Infrared Radiation, which would be otherwise re-radiated back to space. Fig 3: The movement of carbon dioxide molecule. There is another aspect of the presence of carbon dioxide in Earth’s atmosphere. Once the excessive heat is stored by the CO2 molecule (leading to the increase of the atmosphere’s temperature), the other greenhouse gasses like ozone and methane will also increase the absorption of Infrared Radiation. Raising temperature will also encourage more water vapour to entry the atmospheric circulation. Water vapour is another greenhouse agent, acting in similar way to the greenhouse gases. This situation will lead to what is called a positive feedback, where one factor multiplies the influence of another. Hence industrial revolution increased the amount of atmospheric CO2 by 43%, there is not only a strong evidence, but also real concern regarding current carbon dioxide levels. By burning coal, crude oil and gas, humanity releases the incomparable to the natural processes amounts of carbon dioxide in to the atmosphere. This along with deforestation is posing a real threat to the environment. What is really important to remember, is that all that CO2 released within the last 150 years or so, had been locked in the natural carbon reservoirs by the geological processes lasting millions of years; thus our actions are tipping the fragile balance of natural word over and it will take a very long time for our planet to restore this balance. The severity of the impact on the environment will depend on the length of CO2 production. Currently world is experiencing changing weather patterns, they are less predictable. Many areas are suffering from catastrophic draughts resulting in famine, others are flooded by torrential rain fall. Many habitats are lost and species of plants and animals endangered, possibly extinct. 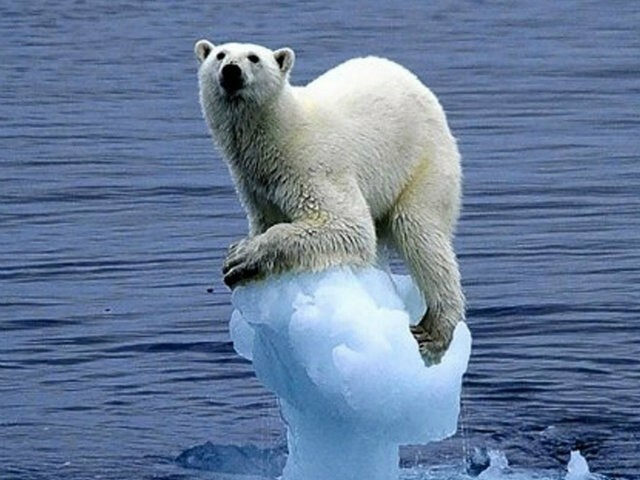 And last but not the least – the Polar Ice caps, especially land glaciers are vulnerable, if they melt away we will face a catastrophic increase in the sea levels, possibly the disruption of many weather controlling ocean currents.